This lovely traditional end table will be a stylish addition to your living room. The square top features elegantly curved corners, with an intricately carved apron below, with a stunning shelf and leaf design. Place a lamp, framed pictures, and your favorite decorative accents on this table for a stylish look. 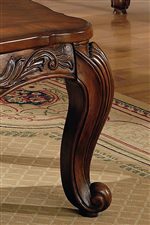 Curved scroll legs are sophisticated, in a cherry finish that will surely complement your decor. 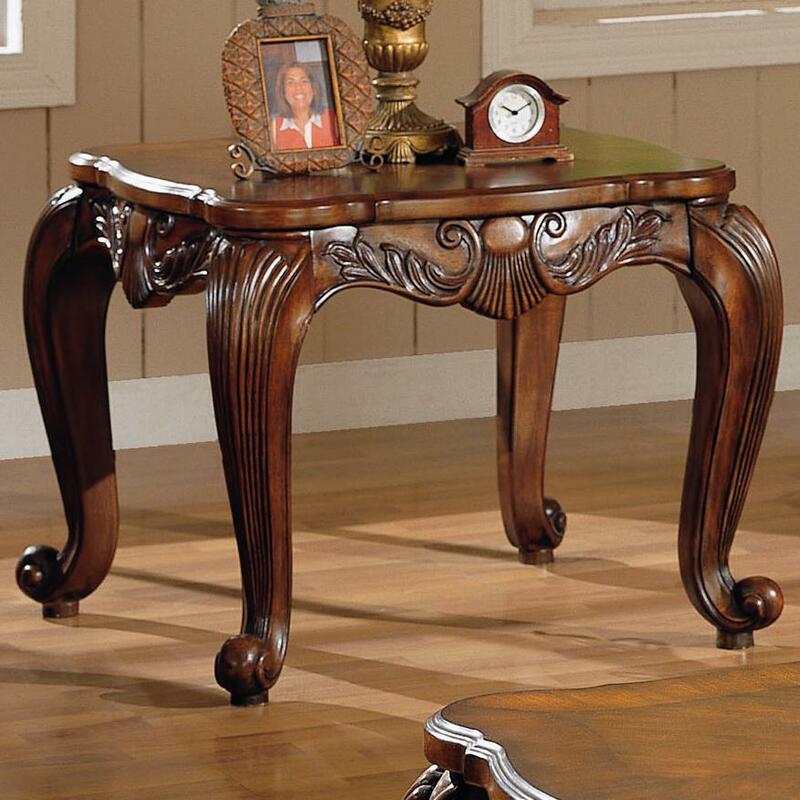 Choose this beautiful end table for the perfect chairside table in your traditional living room. The Venice Traditional Square End Table by Rooms Collection Two at Rooms Furniture in the Houston, Sugar Land, Katy, Missouri City, Texas area. Product availability may vary. Contact us for the most current availability on this product. 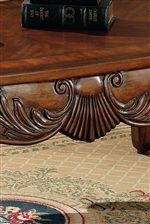 Case Detail Smooth rounded edges, carved details, scrolled legs. Description: Top Smooth matched veneer top with curved corners. The Venice collection is a great option if you are looking for Traditional furniture in the Houston, Sugar Land, Katy, Missouri City, Texas area. Browse other items in the Venice collection from Rooms Furniture in the Houston, Sugar Land, Katy, Missouri City, Texas area.